Beers Made By Walking: Sign Up For Public Hikes With Brewers In Bend, Oregon! Sign Up For Public Hikes With Brewers In Bend, Oregon! Beers Made By Walking is happy to announce a series of hikes in collaboration with the Oregon Natural Desert Association in Bend, Oregon. The hikes will be attended by the public, and brewers from Crux Fermentation Project, Deschutes Brewery, and Worthy Brewing Co. The hikes are a part of the educational programming for the Oregon Natural Desert Association. Hike-goers will learn about the natural history of the area we hike through, learn about the flora, and spend time hiking with the brewers. Sign up for the hikes! The hikes are set for May 20th, May 22nd and June 9th. The hikes are free and open to the public, however there are a limited number of spots available on each hike. The May 20th hike will be attended by a brewer from Crux Fermentation Project, the May 22nd hike will see Veronica Vega, of Deschutes Brewery. Both May hikes will take place in the area of the Oregon Natural Desert Association Whychus-Deschutes Wilderness Proposal.The third hike will be attended by a brewer from Worthy in the Badlands. All hikes begin at 9am with a caravan from Bend to the trailhead. Later in the summer the participating breweries will make beer inspired by the plants we identify on the hikes. The beers will be tapped at a special event in Bend where proceeds will be donated to the Oregon Natural Desert Association. The tapping event date and time are to be announced. You can receive updates about this event by following Beers Made By Walking on Facebook and signing up for our email updates. Whychus Creek provides prime spawning habitat for bull trout, a threatened species under the endangered species act, as well as salmon and steelhead now returning to our watershed. Whychus Creek and the Middle Deschutes River to the east draw thousands of visitors for fishing, hiking and exploring the canyons each year. In spite of the importance of these places to our region, the place where these two waterways come together lacks permanent protection. ONDA and local partners seek a permanent designation such as wilderness for the Whychus-Deschutes area to ensure that this spectacular landscape remains wild for future generations. The Oregon Badlands Wilderness was designated in 2009, after the Oregon Natural Desert Association (ONDA) and other local groups worked for more than 25 years to protect this desert gem. Located just 15 miles east of Bend, the Badlands is often referred to as Bend's backyard wilderness, but the landscape is anything but tame. With fascinating lava formations, thousand year-old juniper trees, and bountiful spring wildflowers, the Badlands offers a wild refuge just minutes from civilization. Oregon Natural Desert Association (ONDA) exists to protect, defend and restore Oregon’s high desert. Our vision is to see millions of acres of beautiful and ecologically vital public land permanently protected, home to diverse populations of wildlife, and available for people to enjoy forever. 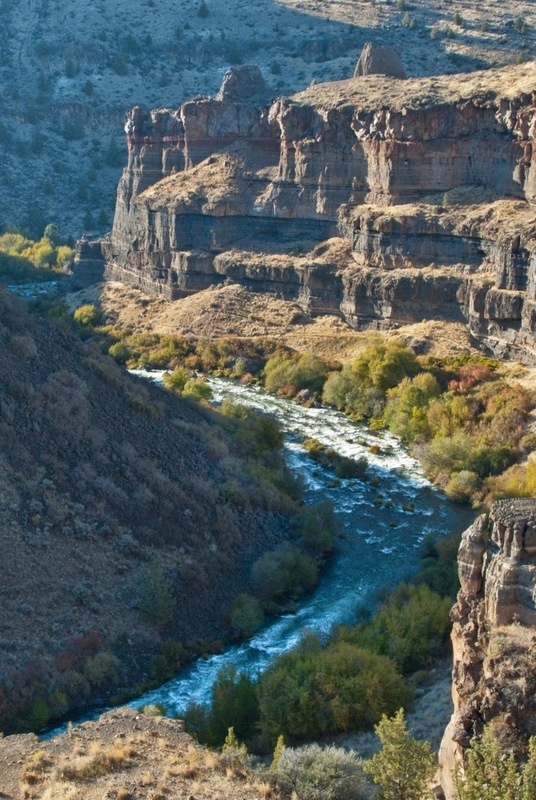 Working in partnership with more than 4,000 members and supporters, ONDA is the only group dedicated exclusively to the conservation of Oregon’s high desert rivers and landscapes.